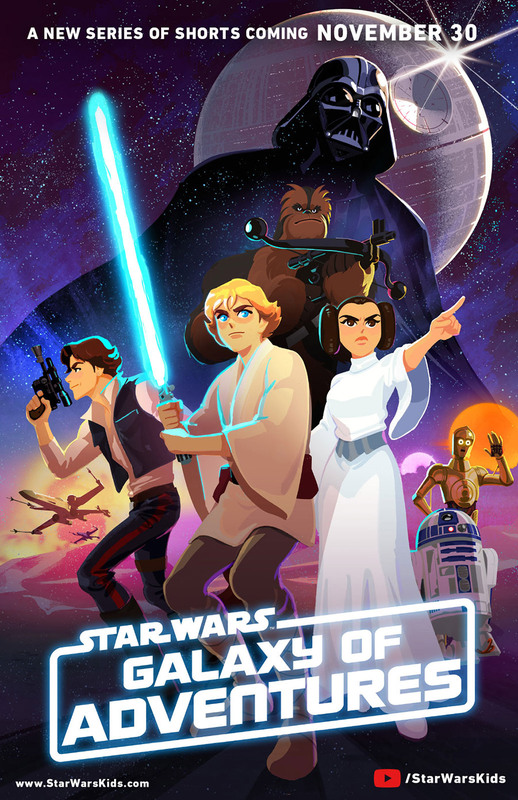 The first six episodes of the newest series of animated “Star Wars” shorts called “Star Wars Galaxy of Adventures” have now premiered over at the Star Wars Kids YouTube Page, and they’re pretty awesome! You can check out the first six episodes right here in the video above and the in the videos below, which focuses on all of the main characters in the original trilogy. I loved these shorts. I think the animation style is great, and they captured exactly what they’re setting out to do with this new series in recreating iconic moments from the saga in a fresh new way to bring in new younger fans. But it also got an older fan like myself pretty pumped as well, so they’re great for fans of all ages! I can’t wait to see more episodes, but be sure to head on over to the Star Wars Kids YouTube Page for some other cool videos that recap the arcs of Luke Skywalker and Darth Vader.